Sometimes after a hard day student teaching, you just need a good pick me up! 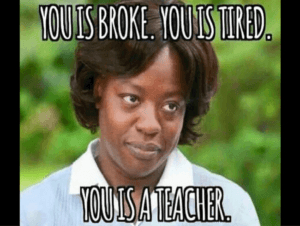 Enjoy these student teaching jokes and have a good laugh. Does including a No Child Left Behind joke date me? I will get to work on some Common Core student teaching jokes, I promise! Where my Pre-K and Elementary teachers at? 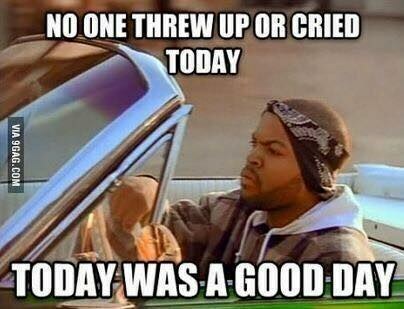 Crying is just part of a routine day, am I right? Hopefully, for most days, it’s the small children crying and not you, but hey, I’ve been there. Managing stress as a teacher can be hard work! Let me get you some more student teaching jokes, shall I? 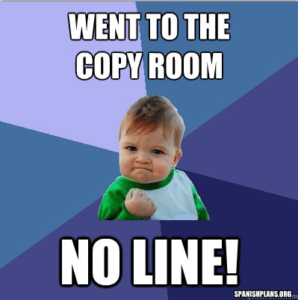 Hopefully none of the co-workers I’m trying to impress saw my goofy “no copy room line” happy dance… Oh, am I the only one who does that? Carry on, then. A lot of student teaching is about figuring out your role in the teaching world. One last bonus student teaching joke. 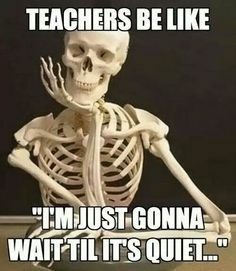 This one isn’t so much a joke about student teaching as a corny joke you can use with your kiddos while student teaching. 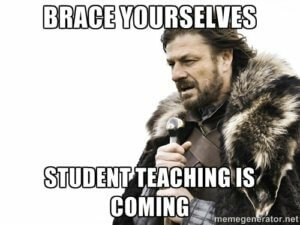 Check out our post 5 Student Teaching Memes for Your Enjoyment.